Do you or someone you know have brown discoloration on your face? If so, you may qualify for enrollment in a clinical study for a series of laser treatments performed by Dr. Deborah Sarnoff using the FDA-approved PicoSure laser. There are a limited number of spots available! 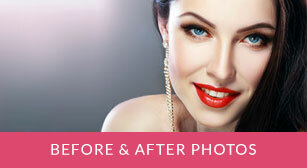 Please contact our cosmetic coordinator at 516-484-9000 or 212-794-4000 for more information. Question: What is a clinical study and will I be compensated for participating as a volunteer? Answer: A clinical study is a research study that involves human volunteers to investigate medicines, new medical devices, new technologies or new treatment options. Participation in a clinical research study is always voluntary. In most clinical studies, the treatment, office visits and tests are at no cost to the participant. In some cases, participants may also be given financial compensation. Question: Why participate in a clinical study? Answer: Participants in clinical studies can play a more active role in their own health care, gain access to new research treatments before they are widely available, and help others by contributing to medical research. Your participation in a study may benefit you directly by providing you with a more effective treatment, and the information collected as a result of your participation may be used eventually to help other people with the same condition. Question: What happens during a clinical study? Answer: The process depends on the type of study being conducted. 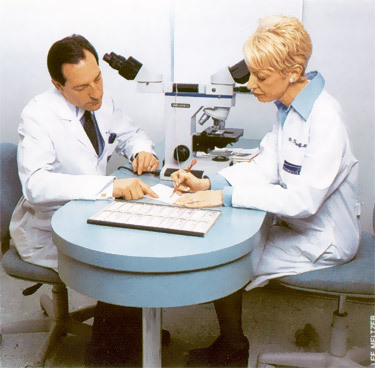 Before a general medical history is taken, potential participants sign an Informed Consent Form (ICF) that explains the purpose of the study, conditions that may include/exclude a participant, the procedures involved, risks and/or benefits, alternatives, and the financial compensation (if applicable). This form is designed to provide patients with all of the information necessary to make an informed decision regarding their participation in a specific trial. After reading through the ICF, patients may elect to sign or not sign the document. Patients are encouraged to ask the doctor or the person administering the consent form any questions that may arise. The ICF is not a contract and participation is always voluntary. The participant can withdraw from the trial at any time. Question: What is an Institutional Review Board (IRB)? Answer: An Institutional Review Board or IRB approves clinical studies. The IRB is an independent committee made up of doctors, ethics experts, members of the general public, and others responsible for ensuring that a study is conducted ethically, safely and does not represent an unreasonable risk to patients. Question: What should people consider before participating in a clinical study? Answer: People should know as much as possible about the research study and feel comfortable asking the members of the health care team questions about it. Question: Can a participant leave a clinical study after it has begun? Answer: Yes. A volunteer can discontinue participation at any point during the study. When withdrawing from the study, it is extremely important to alert the research team, and provide the reasons for leaving the study. Answer: A research protocol describes people who may or may not participate in the study, the schedule of tests, procedures, the number and timing of follow-up visits, medications, and the length of the study. While in a clinical study, participants following a protocol are seen regularly by the research staff to monitor their health and to determine the safety and efficacy of their treatment.